You’ve finally—painstakingly—decided on a color for the room you’ve been dying to renovate. You’re just about ready to begin and show the world your impeccable taste in color, except you’ve never done any painting in your life. Don’t sweat it though, you could hire someone else to do your paint job. But sometimes, especially for more straightforward projects like repainting your walls, going DIY is both cheaper and simpler (especially with a lot of of practice) than most people think. There are a couple of things to keep in mind if you’re considering trying your hand at doing your own painting. But in the end, the best way to a perfect paint job is really always just more practice. Clear the room of furniture as much as possible. It’s an added effort, but the tiniest of accidents will ruin your furniture, and this tends to happen more often than you’d expect. Remove all wall fixtures too, like socket covers and light switch plates, instead of painting around them. Then lay a drop cloth over your floors. Alternatively, you can use plastic coverings or, if you have neither, newspapers. 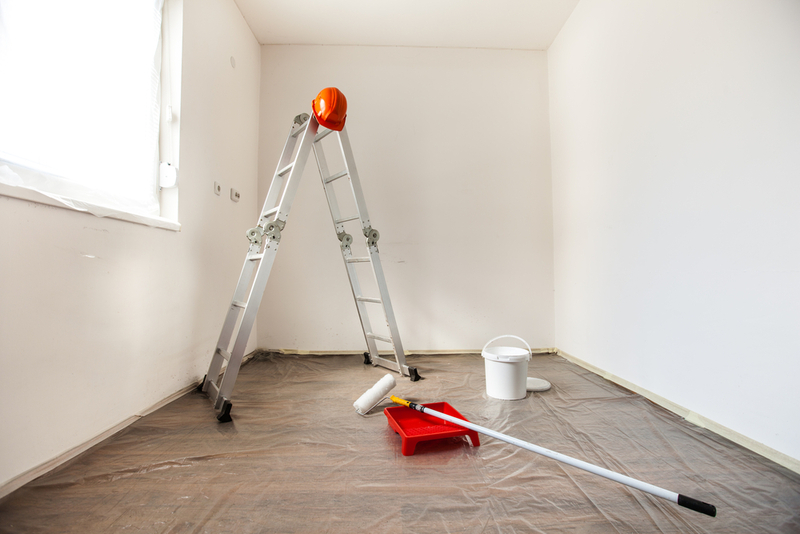 Just be careful: paint can slide off plastic and onto your floors, and can seep through cloth or newspaper if you aren’t careful. 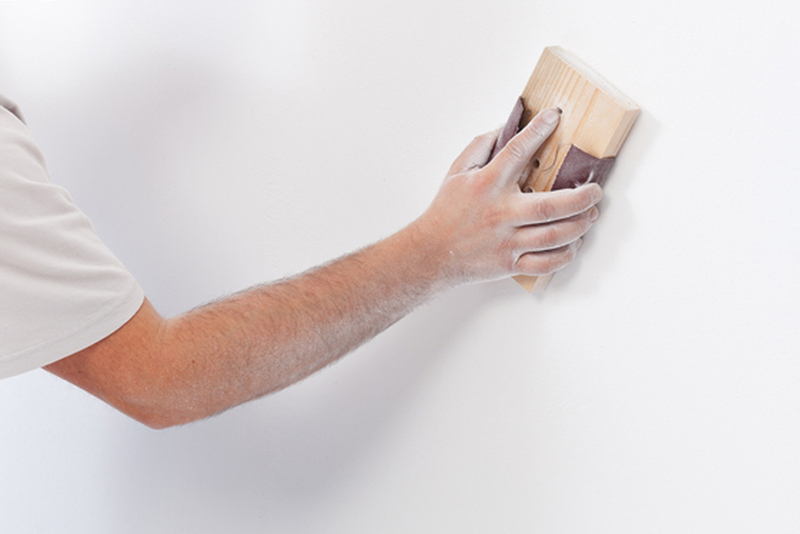 Before any painting, it’s an absolute must to clean away all dirt, dust, and grease from your walls. If necessary, sponge your walls lightly with water and a mild detergent. Make sure every hole and crack is filled, and do a final sanding to flatten out any possible bumps. The goal is to get the wall as smooth and debris-free, for the smoothest paint job possible. Before working on walls and ceilings, use a brush to fill in around 2-3 inches of paint over areas around doorframes and trim that are too narrow for your paint roller. When dipping your brush, make sure you cover only half or a third of the bristles, so the paint doesn’t dry at the base and shorten your brush’s lifespan. Dab some of the excess paint on the inside of the can, or you can loop a rubber band over the opening of the can, and use that instead to wipe your brush after dipping it into the paint. Gently press the brush about an inch from the edge you’re cutting in, releasing paint from the brush. Slowly work it towards the edge of the wall, gliding just a few bristles over the length of the edge as carefully as you can. This applies to room corners as well, except you don’t have to be as precise. You can also use painter’s tape (alternative: masking tape) to protect the trim and doorframes, but it’s best used as a safety measure only. Painter’s tape serves as an added cost, and there’s a chance paint can still seep through the tape, especially when you use masking tape. As a general rule, paint in a zigzag or “M” pattern when using a roller. Start as close to the cut-in as you can, focusing on distributing the paint and coating the wall as uniformly as possible. Try to finish painting your strokes in the same direction for a more even coat. Go for longer strokes, lightly lifting the roller off the wall after your last stroke, so as not to leave any hard edges. 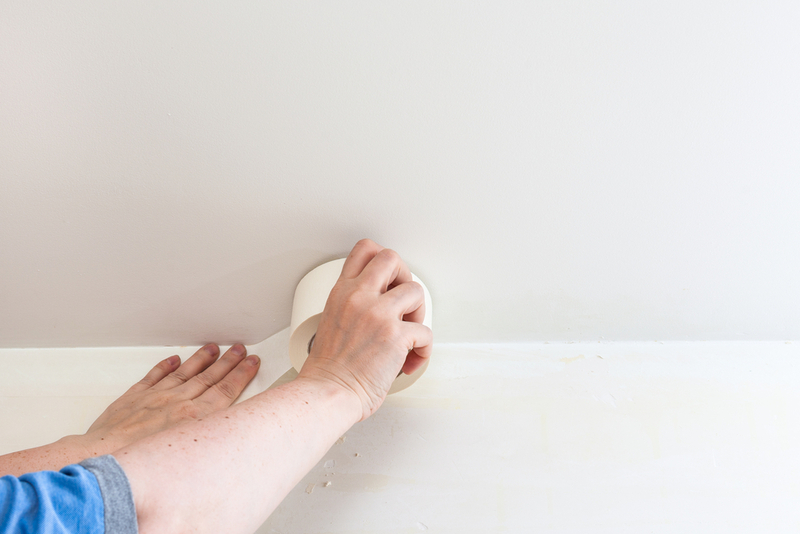 Make sure you start right after cutting in the corners of the room while the paint is still wet, and finish one wall at a time before taking breaks. Letting the paint dry will result in an uneven coat. 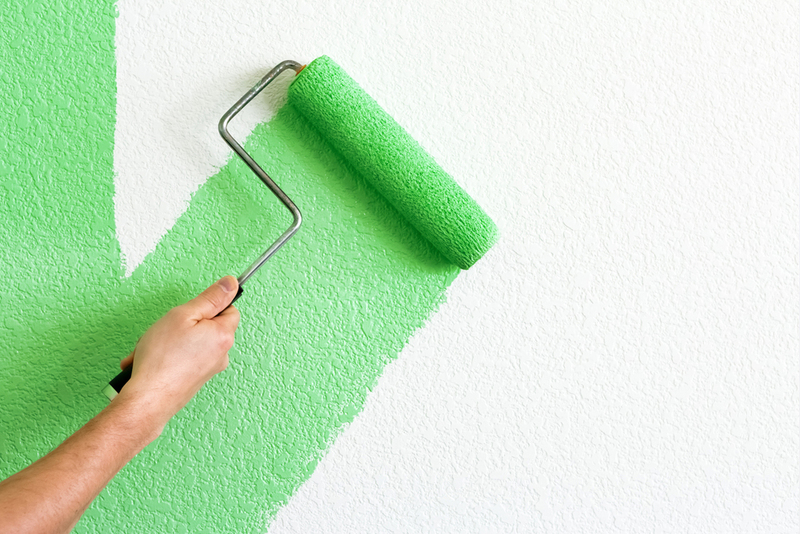 Depending on how dark the old wall is or how light your new coat is, you may need to do more than one coat of paint. Make sure you air out the room properly once you’ve finished, unless the paint is odor-less, which allows people to be in the room comfortably while it’s being painted. 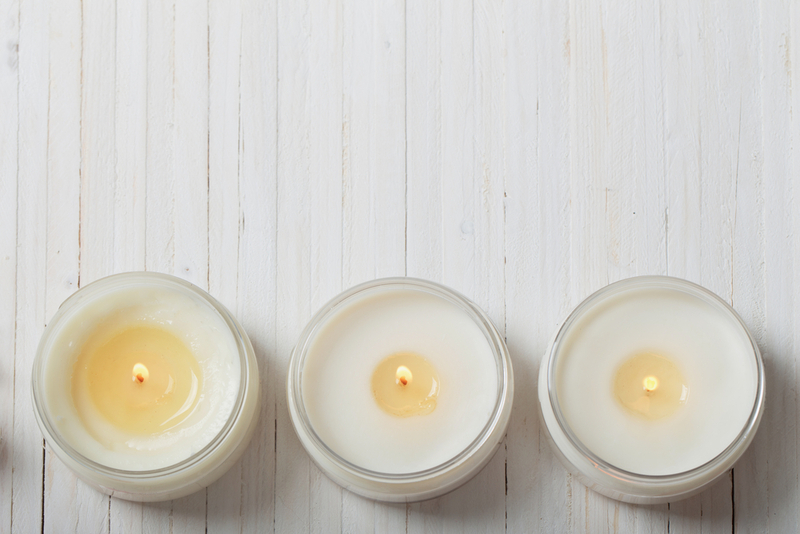 However, if you are not using odor-less paint, leave a few buckets of water in the room to absorb the remaining paint vapors, or light a scented candle to burn away some of the fumes, to help speed up the process. If you plan on working again the next day, seal your paint cans well and wrap your paintbrushes and paint trays in plastic wrap or plastic bags, taking care to keep them as airtight as possible. Done right, and the next time you come back to them the paint will still be wet and fresh. If you want visual instructions on how to paint a surface, watch the video below. Thanks for the suggestion, Cess! You’re welcome. Glad you find it useful. You’re welcome, Jean. Thanks for dropping by.